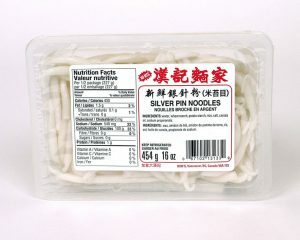 A Cantonese tradition, these fully cooked noodles are used in classic stir-fry recipes as well as simple Asian broth dishes. 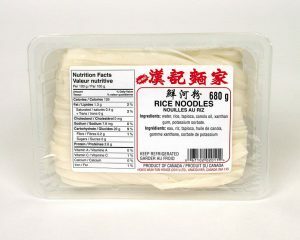 These wide rice noodle sheets can be used in a variety of ways in Dim Sum recipes – rolled up and filled with BBQ pork, beef or shrimp and then steamed. 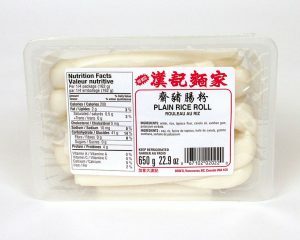 Seasoned with green onions and dried shrimp, this seasoned version of our Plain Rice Roll is served in the same simple way. Comes complete with all the ingredients needed to serve this traditional classic. 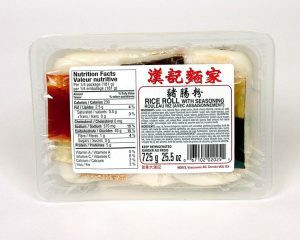 Convenient packs of soy, hoisin and hot sauce, as well as sesame seeds, canola and sesame oil. Pan-fry or steam and serve with any or all of the provided sauces… so simple! Super simple. 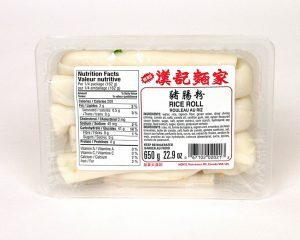 Traditionally steamed and served with your favourite dipping sauce. 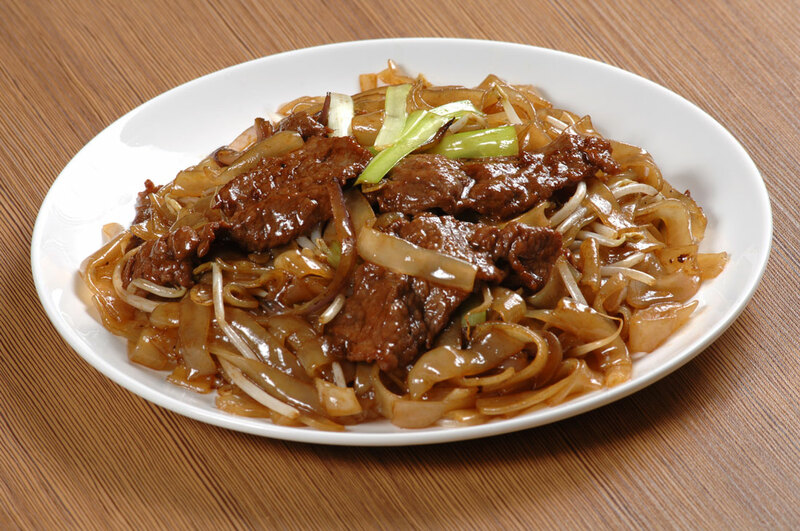 Another popular use is stirfried with some soy sauce and bean sprouts. 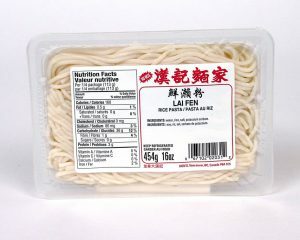 Similar to spaghetti, these fully cooked noodles are a great alternative to use in any soup noodle recipe or stir-fry. 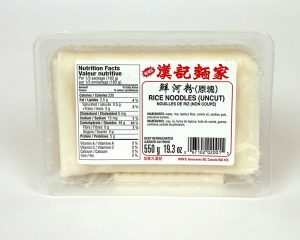 This distinct, chewy noodle is perfect for stirfries. Simple to use – no need to blanch, simply add these fully cooked noodles right into your stir-fry when you’re ready to serve.